​​Blue Heron Fine Art is an established fine art gallery that specializes in exceptional 19th, 20th and 21st century paintings by the American artists listed in our Artist Inventory. Blue Heron Fine Art is a full service art gallery actively involved in the buying and selling of quality paintings. We are always interested in acquiring signed original works of art and encourage your inquiries. To learn more, see Sell Your Art . Our gallery is located one hour south of Boston, MA and one hour north of Cape Cod, in the picturesque seashore town of Cohasset, MA. Blue Heron Fine Art is open daily by appointment. 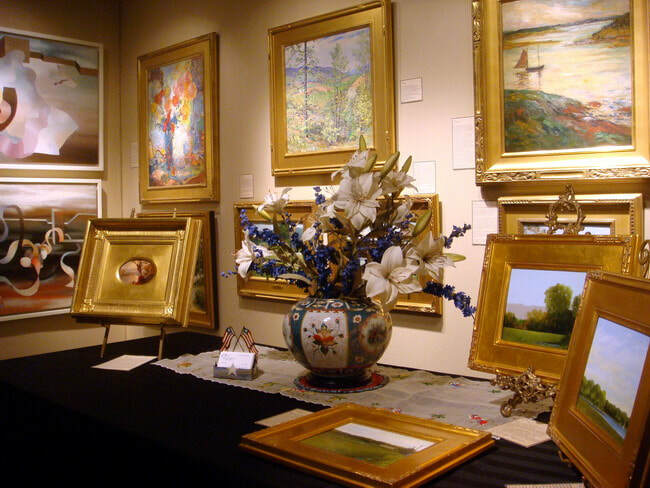 During the year, we also participate in select antique and fine art shows throughout the Northeast. Our current Show Schedule can be viewed on this site. ​We have worked directly with individual clients as well as decorators, interiors designers and corporations. From landscapes to portraiture, to marine art, we are always searching and researching, dedicated to finding beautiful paintings that best represent the skills and talents of the artists. Above all, we are committed to helping our clients find that perfect painting that they will value and treasure for a long time. Whether you are considering your first fine art purchase or are a seasoned collector, we strive to make the process of selecting artwork a pleasurable and rewarding experience. Please enjoy perusing our site and let us know if we can be of further assistance.